With all the recent talk of Avatar: The Last Airbender live-action Netflix reboot, it’s important to remember its significance and how it became one of the best Cartoon shows to date. One very prominent reason for its success is the character of Prince Zuko, who until now still holds the best character development animated television has ever seen. In the first season, we meet his character at the first episode where he was introduced as the banished prince of the Fire Nation who can only restore his “honor” by capturing the long-lost Avatar (who nobody has seen in a hundred years, by the way.) After finally meeting Avatar Aang after two years at sea, he loses him which starts their chasing spree all throughout the world. He performs a variety of tactics throughout the season which sometimes brings him closer to his goal but often fails. Also, who could forget him sprouting out a bunch of “I must restore my honor!” lines? We first see him as this ambitious, hot-headed villain who is way too obsessed with his honor. His different tactics show an exceptional amount of desperation, and he pushes away people who actually care for him, focusing on pleasing the one person that gave him his scar in the first place. Sound familiar anyone? Next, in the second season, we get a grasp of his exhaustion and bitterness as he goes solo for a while. We see he is tired of continuously chasing the Avatar and tries to find another purpose in his life. We also get a glimpse of his childhood in the episode: “Zuko Alone.” He, like the rest of us, was just an innocent kid who went through difficulties which moulded him to the person he was. Finally, in the third season, we see his struggles as he finally makes up his mind to join the other side. This is not easy as it goes against everything he’s ever known, but we finally see clarification and redemption as he owns up to the mistakes he has previously done. This is highly impressive as most teens cannot find it in themselves to be upfront about their mistakes, much less own up to them. He gains the trust and friendship of Team Avatar, even takes a lightning strike for Katara (I’m looking at you Zutara shippers at the back), and yes, succeeds in regaining his honor and bringing the avatar back home. Literally. We also see him again in the sequel series, The Legend of Korra as this old man who, unlike the original characters, still fights for peace and is actively present in conflicts. But why is he so important? Why are all these things worth mentioning about him? We must note that during this time, Zuko was only sixteen years old. He was heavily traumatized and disowned by his father at the age of thirteen. Thirteen. After suffering such embarrassment, he took it upon himself to redeem his honor, his birthright, and the life he’s only ever known. He pushed people away and shielded himself from hurt, turning into that angsty villain that didn’t care about anyone but himself. After continuous suffering, he finally feels exhausted, wanting to be at peace but also torn apart on what to do now that he has failed in attaining his impossible goal. He then makes a grave mistake, like any other kid out there, and realizes the solution he has to undertake. And at the end, he gains new and true friends as well as the rightful place of Firelord, bringing peace and concluding the war his ancestors had brought upon the world. 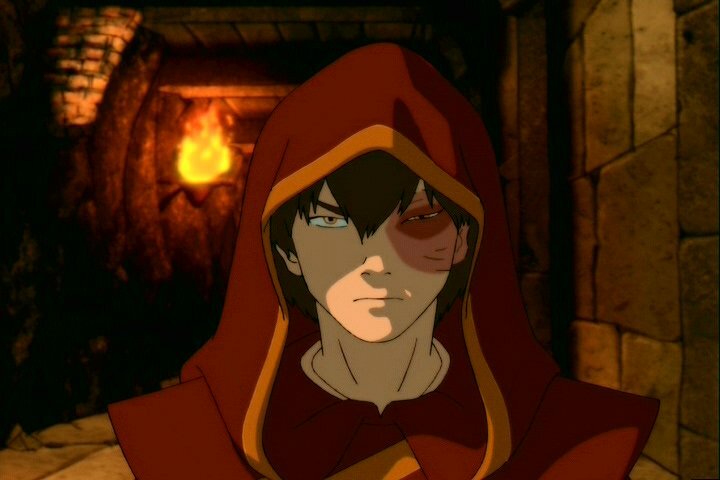 Prince Zuko is like any of us, representing the scars of darkness we refuse to acknowledge. We often get cartoon characters that often only provide comic relief, but Prince Zuko is a factual representation of us all. From his ambition to his awkwardness to the constant rejection he has to put up with, and to the self-discoveries, he has made, he is a character that makes the adolescent in us proud.